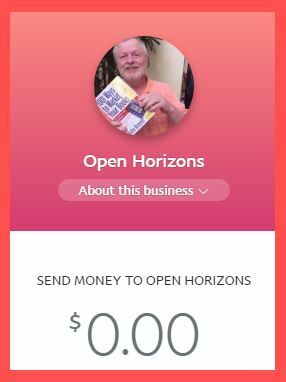 You can now set up a business or personal Paypal link for people to send you money. Here’s mine (with my Book Marketing brand): http://PayPal.Me/BookMarketing. My wife just set up a topical brand as well: http://PayPal.Me/GodBlessYou2/30 just in case you’d like for she and I to pray for you. It’s quick, easy, and cool to set up your own topical brand on PayPal. And it’s easy to share your link on social media — and make book sales! It’s quick, easy, and cool to set up your own topical brand on PayPal.